A very nice capture of these auto destroyers. Bumping up. Contrast and saturation are off. Interesting idea, but a few too many distractions in the image. Have you considered cropping the top quarter and converting into a monochrome image? It's ideal (but sometimes, um, challenging) to use a challenge to find a reason to take a photo that is worthwhile and compelling on its own merits, not simply because it meets the challenge. 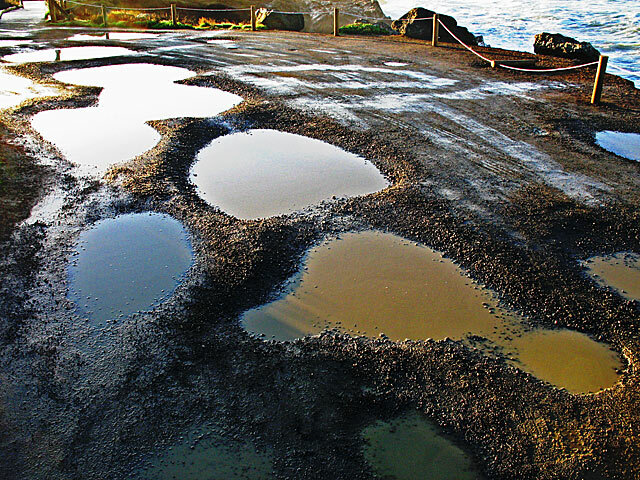 Your potholes are interestingly-shaped, but in a year will you look at this photograph and say, 'I'm glad I took that'? I say this in all kindness and humility, because it's an epiphany I had myself at this site only very recently. Proudly hosted by Sargasso Networks. Current Server Time: 04/26/2019 03:40:23 AM EDT.